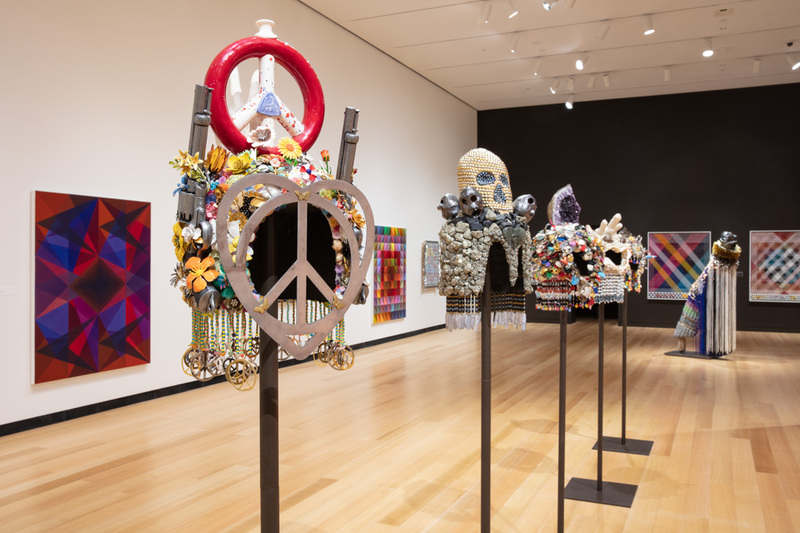 The newest exhibition at the Wellin Museum of Art at Hamilton College in Clinton, N. Y. started with a discussion. 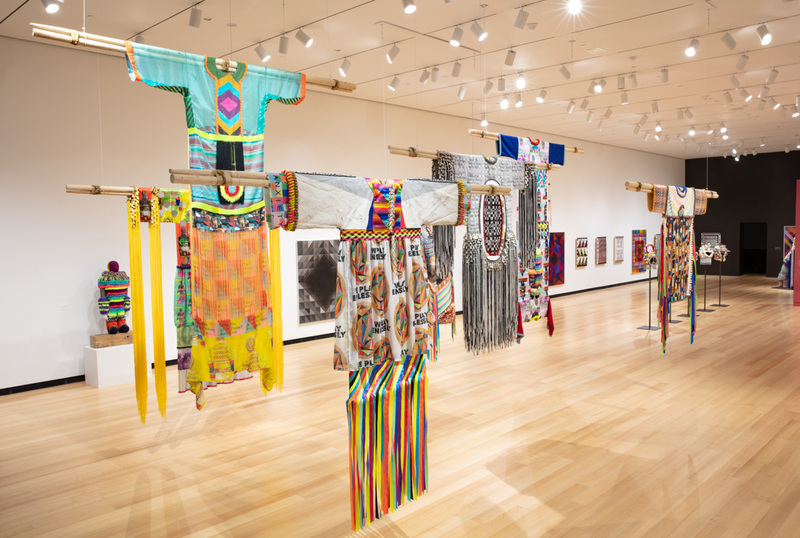 Gibson made them all out of fringe and jingles often used in pow-wow attire. 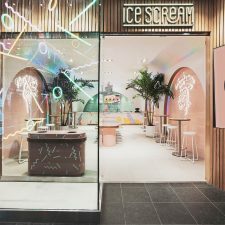 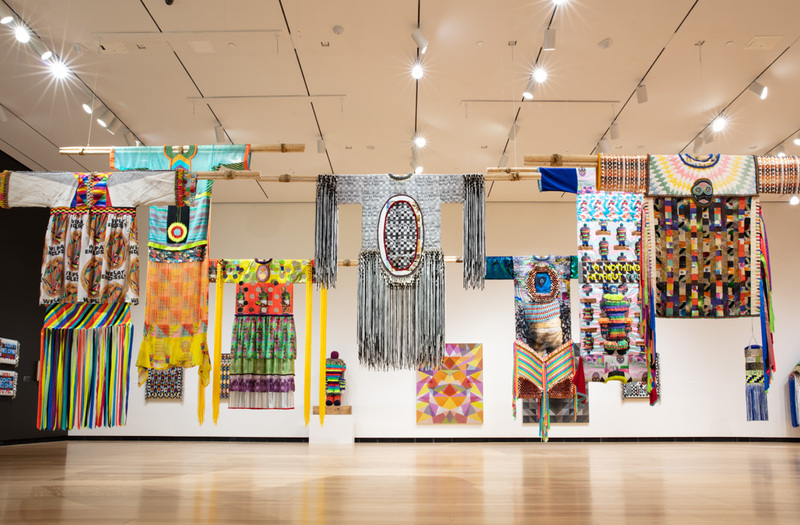 “They’re custom-printed satin, silk and organza – a combination of many different things, like found materials, quilts, sequins and roller-skate laces,” she says. 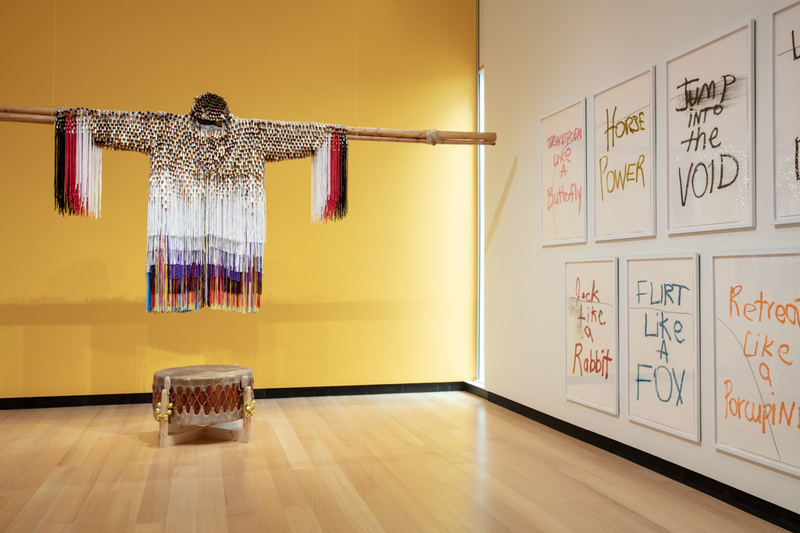 There’s also a film commissioned by the Wellin Museum that Gibson created about a Native American trans woman living on a reservation in Mississippi. 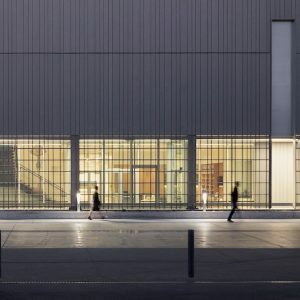 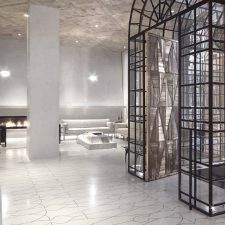 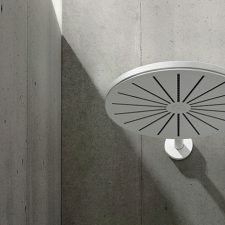 Designed by Machado Silvetti Associates, the Wellin opened in 2012. 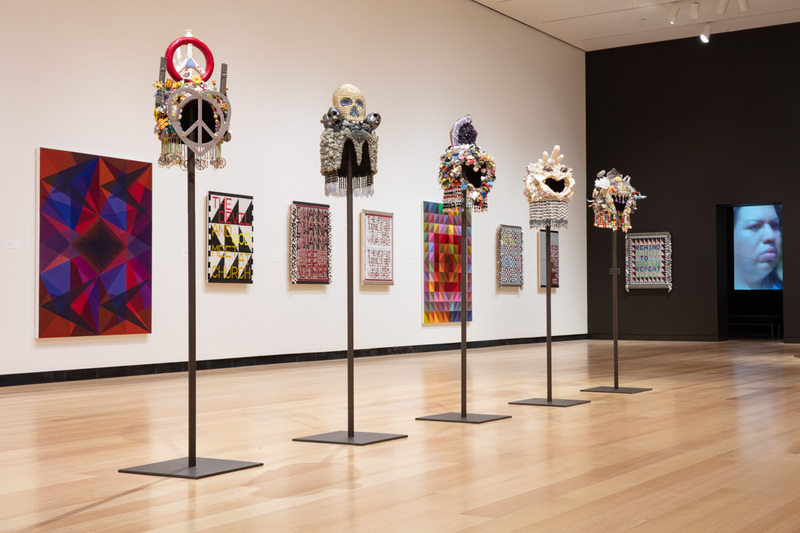 Its curators and administrators immediately began looking beyond the traditional for diversity and original first-time artists like Gibson, who created all new garments, helmets, abstract geometric paintings, and videos for the show that opened on Sept. 8. 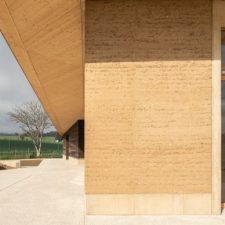 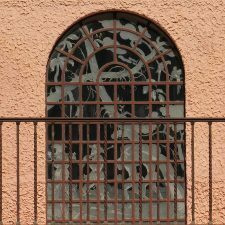 And at the Wellin, that had never been done before. 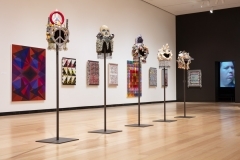 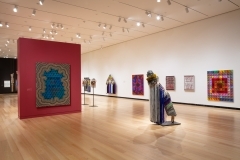 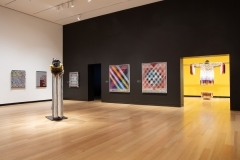 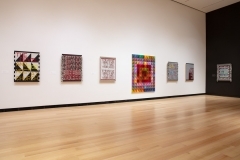 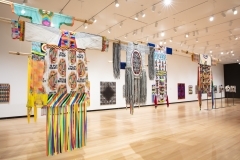 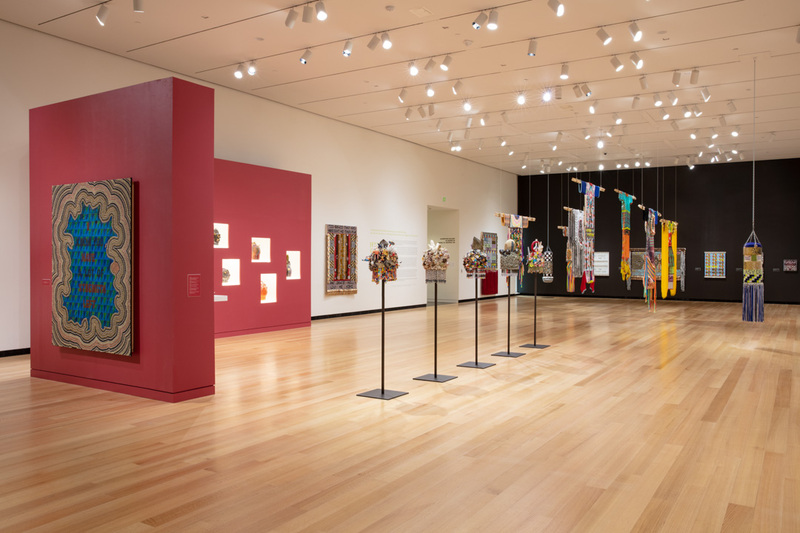 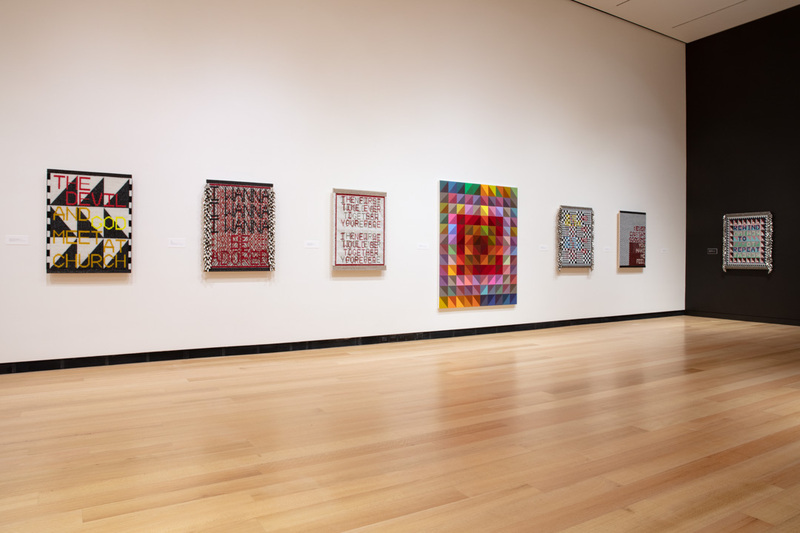 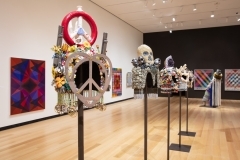 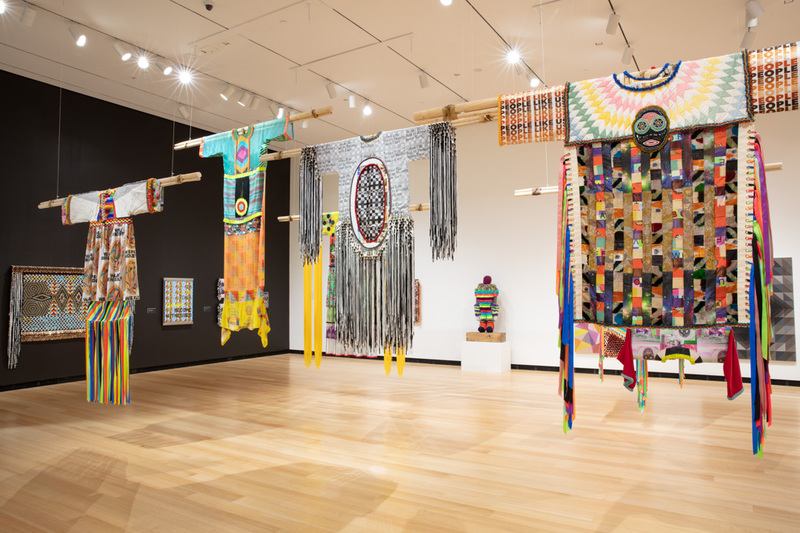 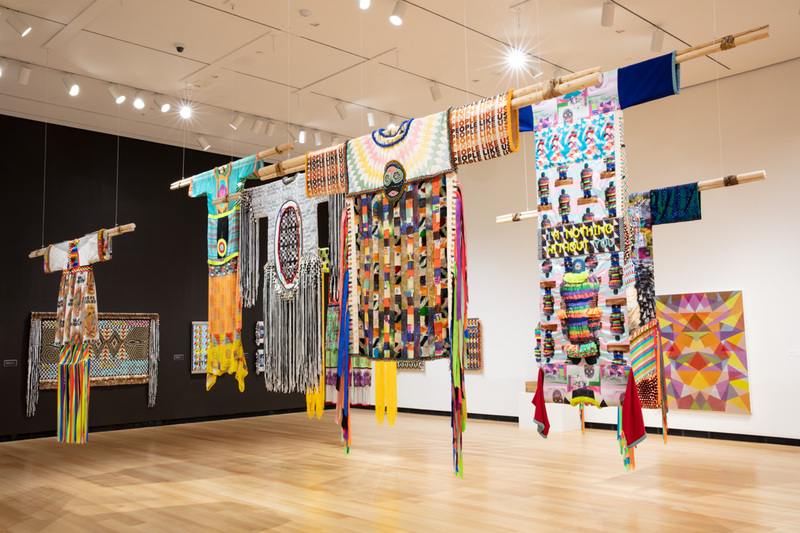 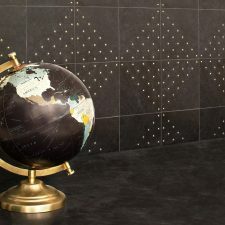 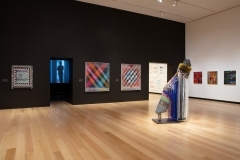 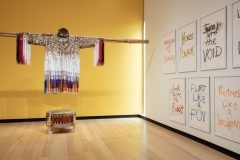 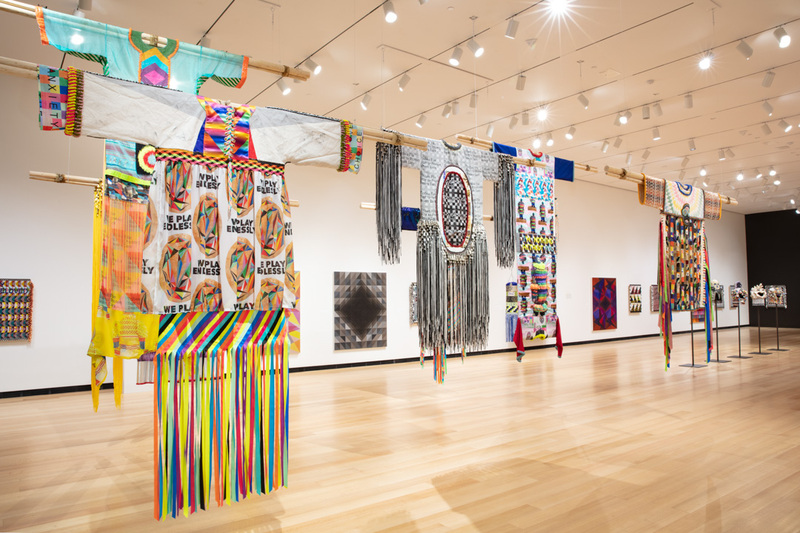 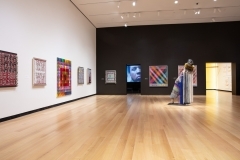 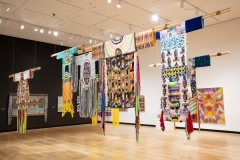 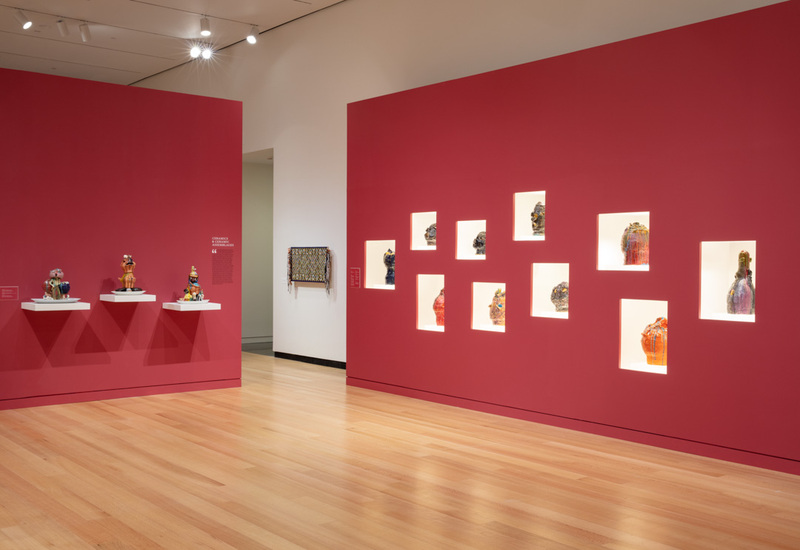 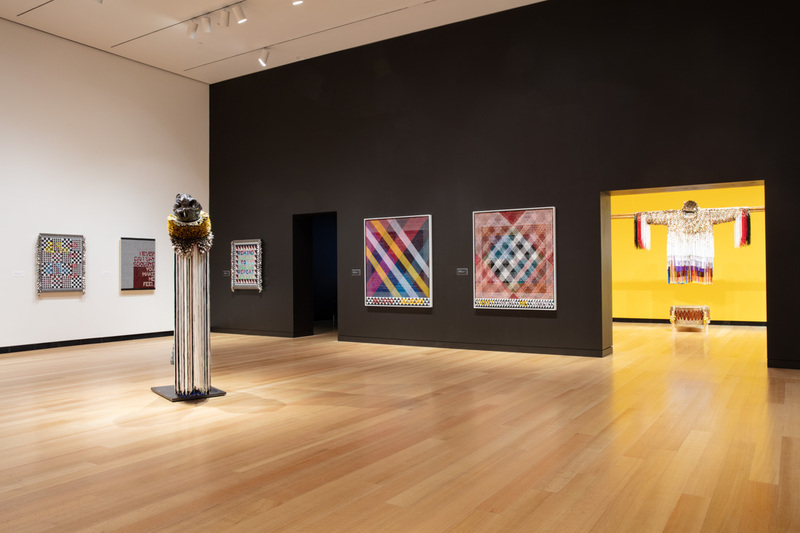 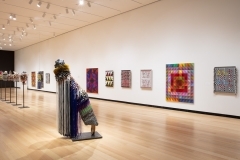 Installation view of Jeffrey Gibson: This Is the Day (September 8 – December 9, 2018) at the Ruth and Elmer Wellin Museum of Art at Hamilton College, Clinton, NY. 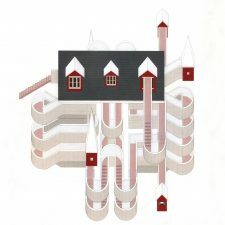 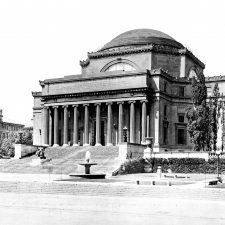 Image courtesy of the Ruth and Elmer Wellin Museum of Art at Hamilton College, Clinton, NY. 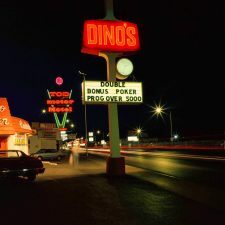 Photograph by John Bentham.